First, a confession. I am a high school chemistry teacher who has been tasked this year with helping our fifth grade science teacher (who is a first year teacher), adjust the science curriculum. I have been teaching for 16 years, but teaching fifth graders (although I do have one of my own) has been quite an adventure and learning experience. It had to be standards based (we are using NGSS). Part of the end of unit assessment had to be project-based. The project should include a technology component. As we were looking at physical and chemical changes during that unit, specifically the reaction between baking soda and vinegar, visions of the quintessential elementary school science project came to mind. Students love The Volcano and want to do it in every science class – not because they’re necessarily learning anything about science (of course, they can, depending on how it’s presented), but more because it is so much fun to make a mess. I decided to figure out a way to take the fun of that project and make it more of a learning process, and make it different from anything they had done before. I found a few You Tube videos and descriptions online of Baking Soda and Vinegar Cars, and I immediately knew that would be a big hit with the fifth graders. I started with the ideas I found online and built a project that would work for our class. The most difficult part was deciding how to build the actual cars. Because the goal of the project was to use the chemical reaction between baking soda and vinegar to make it go, I didn’t want too much of a focus on building the car itself. I wanted something basic and quick my students could do in a class period. I am in Malaysia, so some things that are easily found in the states are more difficult to find here, which was the first stumbling block. Many of the descriptions I found online used Lego parts or other toy building blocks, along with the wheels from those kits. I didn’t want to borrow Legos from students and get them all mixed up (and smelling like vinegar). I finally found a video that used Gatorade lids as wheels. I made a prototype, tested it, and decided on a design that would be easy enough for my students to complete in a class period. Each student (or group of students) needed 4 Gatorade lids (vitamin water lids work as well), 1 water bottle, 2 straws, 4 rubber bands, and 2 wooden sticks (I used skewers)….and obviously the baking soda and vinegar. About three weeks before we began, I sent a note home to parents requesting water bottles and Gatorade lids. Before class I used a heated nail to bore holes through the middle of each Gatorade lid and the lid to the water bottle. In class, we made the cars – the basic instructions were the same but students were allowed to make a few choices of their own – which works well with the NGSS engineering standards. Getting the cars to actually move was the second stumbling block. I will admit there were several hours in my backyard spewing vinegar all over myself as I tried to figure out the best way to do this. The first time the car moved across the patio was a pretty exciting moment, and that’s when I realized that this would be a huge hit with the students. When I presented the project to the students, many of them had great (and crazy) ideas about how to get their cars to go using baking soda and vinegar (and maybe rockets?). I had fun letting them brainstorm and hearing all their ideas and questions, before telling them what we would actually be doing. Despite my plan not involving rockets, they were pretty thrilled. We spent a few days building and testing their cars and then they used the iPads to create a video assessment describing what they learned about how their cars moved. Race day was a blast, and several other staff members stopped by to watch. We watched one car at a time and saw which ones went really far, which ones didn’t, and which ones curved too much. We had many informal discussions about why these things happened and what we could do differently next time. There are many ways this project could be adapted for different age levels and different class lengths. Save yourself some time and take a look at my version of the project FREE on Teachers Pay Teachers. If you love it, I would greatly appreciate some feedback. Give it a try, and move beyond the volcano. Get the lab now! Visit My Science Toolbox on TPT. 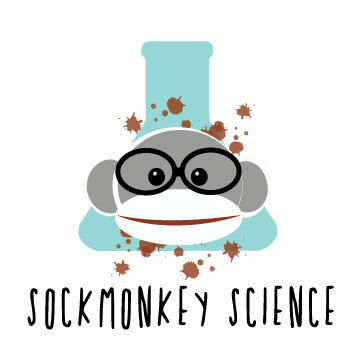 Don’t forget to follow Sockmonkey Science on social media to stay up to date with all of the latest science ideas! 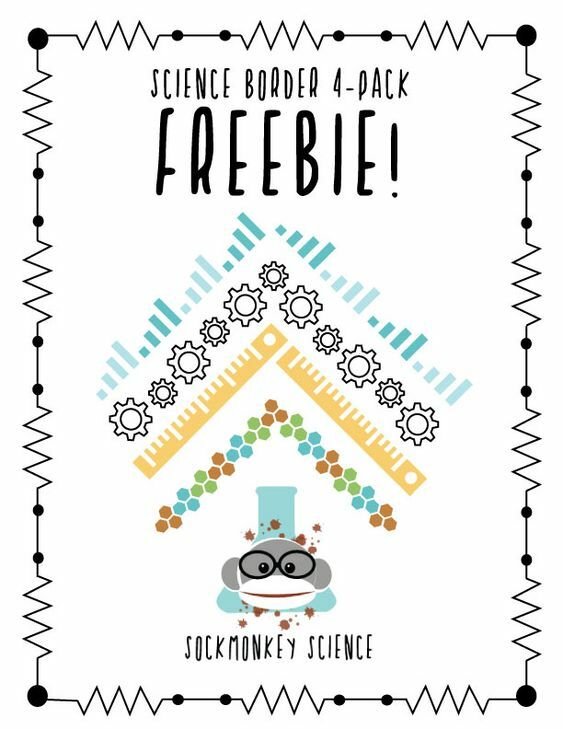 Subscribe now by email for your free science borders and special flash freebies on new TPT products!